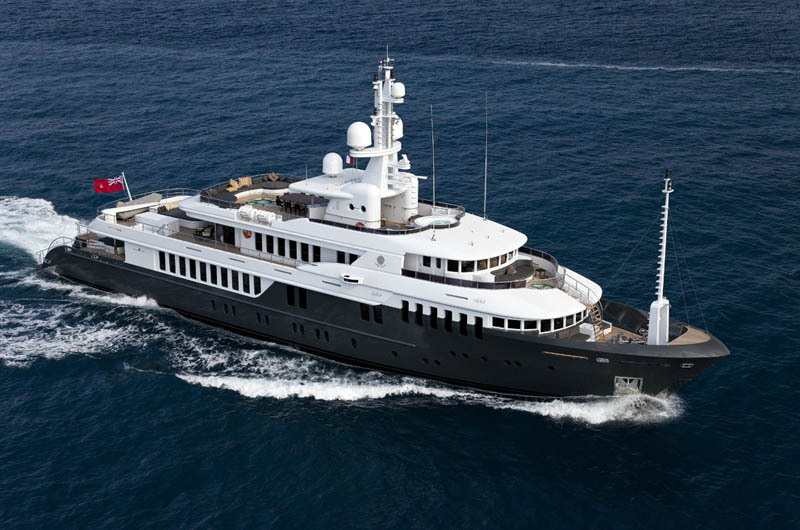 Luxury expedition yacht CHAYKA (ex SIRIUS, LEO FUN) is a 53,85m (176' 8") Proteksan Turquoise Explorer style yacht launched in 2009 with interior design by Jean Guy Verges and naval architecture by Paolo Caliari. 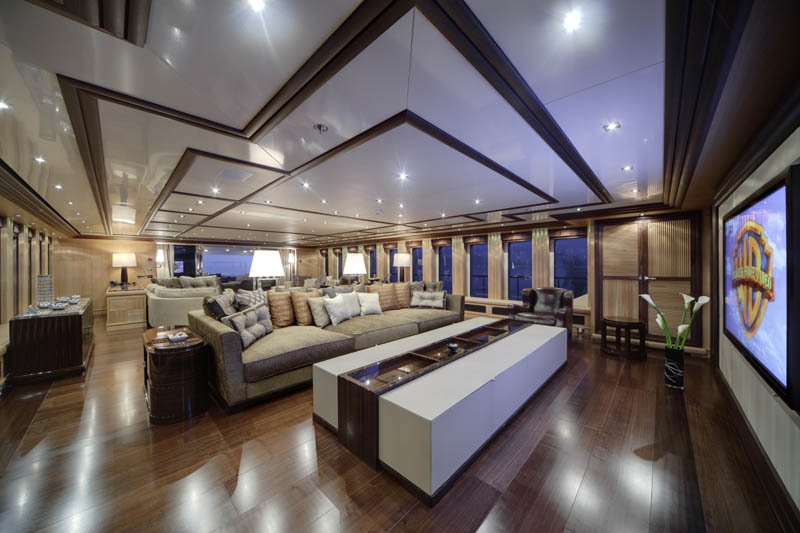 She is a large powerful and very stable steel hulled displacement motor yacht which can accommodate up to 12 charter guests in complete luxury in her 6 spacious cabins. 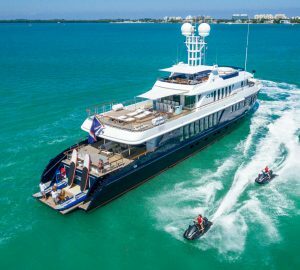 As an explorer style yacht with style and flair motor yacht CHAYKA has an emphasis on enjoying the ocean in safety and comfort and with economical fuel efficiency. 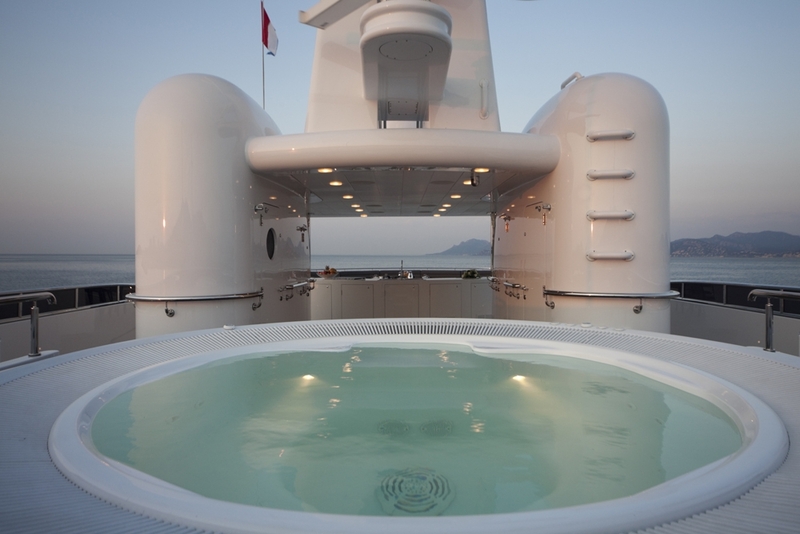 She a good array of water toys and on deck features. 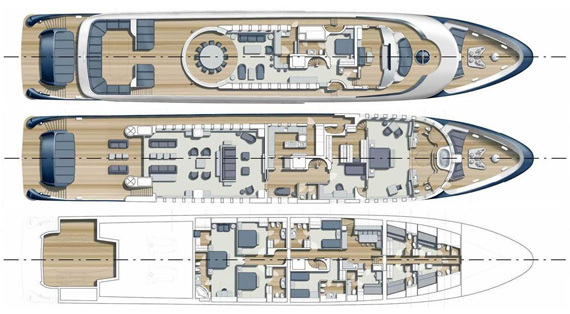 She has a deck Spa Pool for 6, sun bathing areas, gym area, a sheltered lounge area and alfresco dining area for 14 with barbecue and bar. 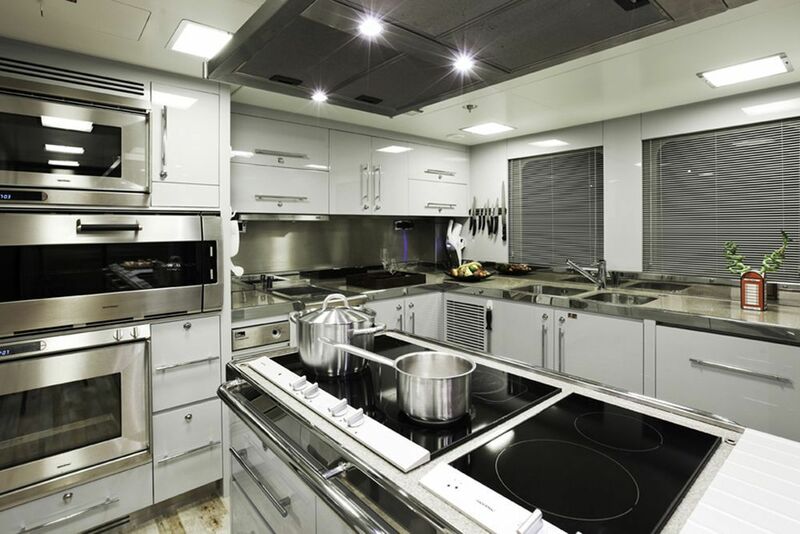 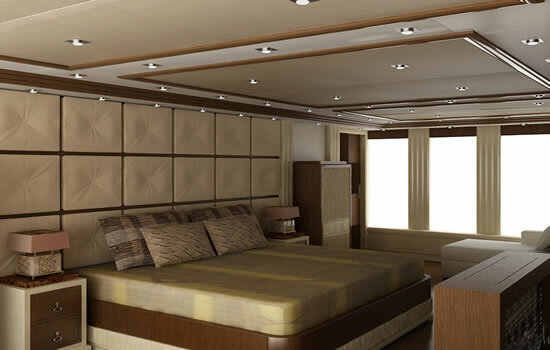 She also spares no effort to accomplish luxury and style in her interior with beautiful soft furnishings and superior entertainment electronics and communications. 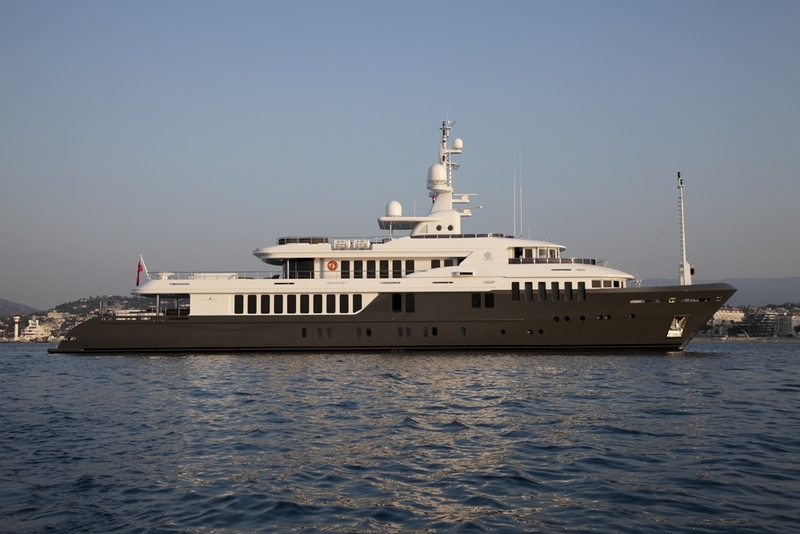 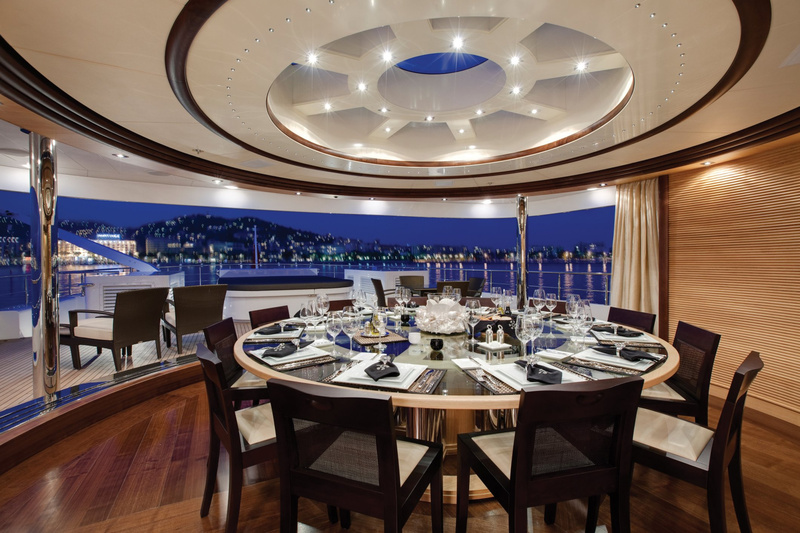 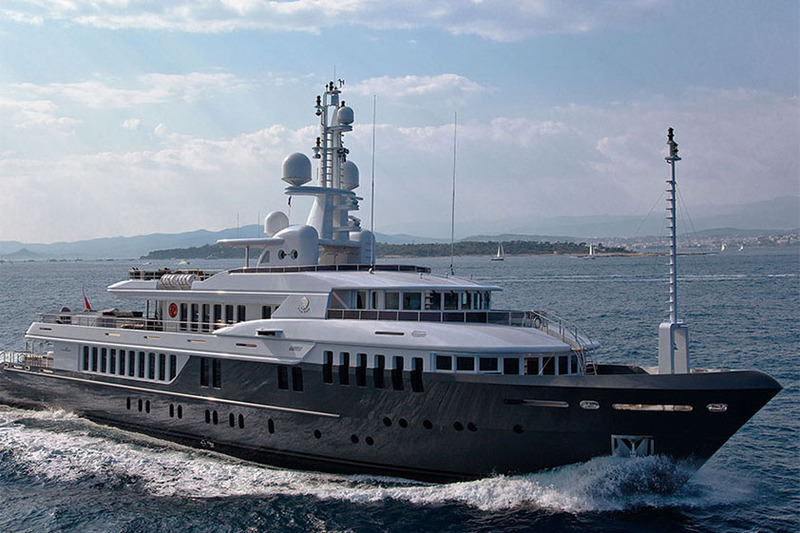 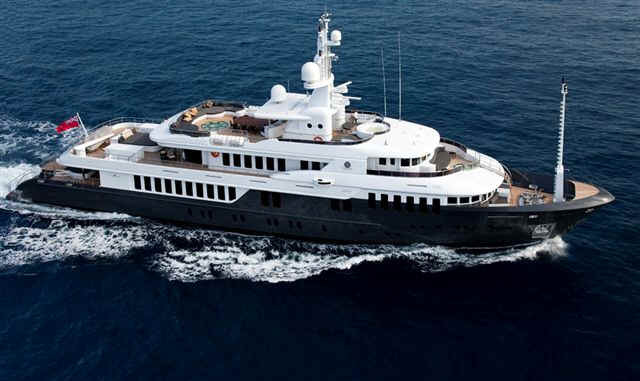 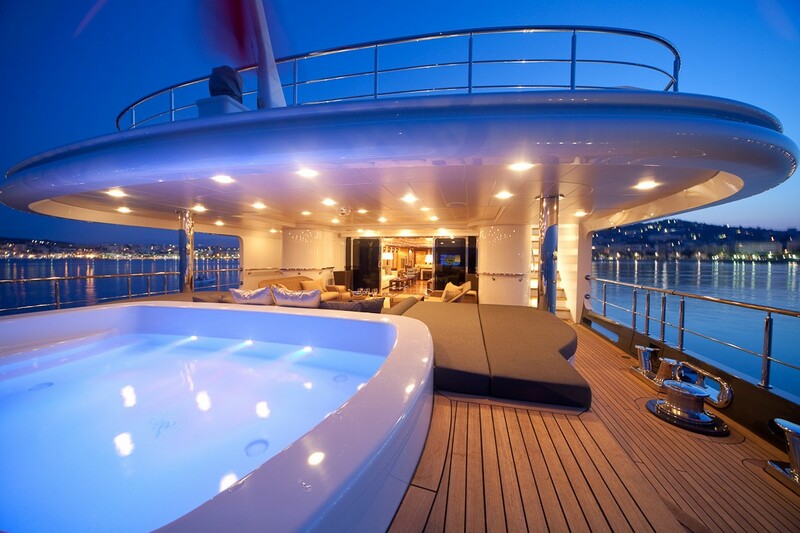 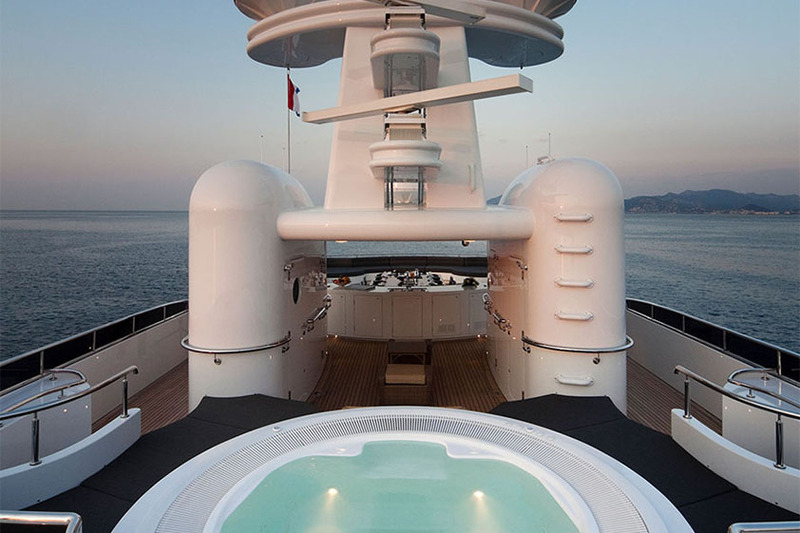 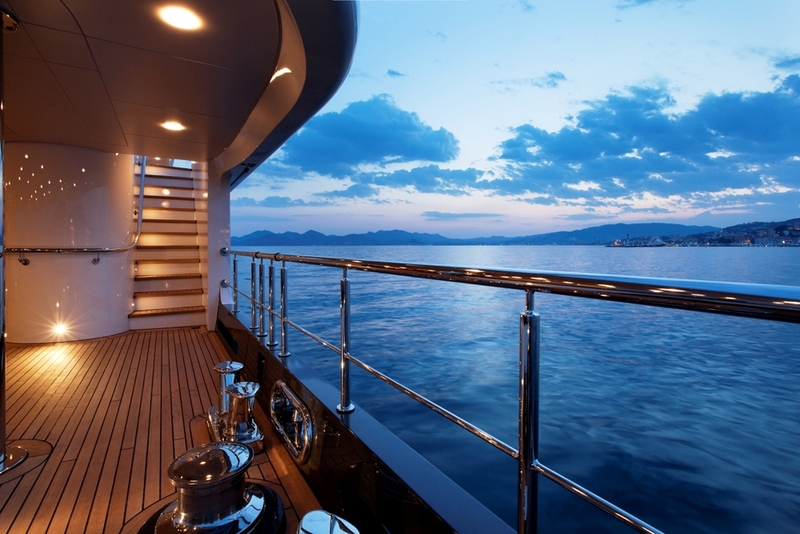 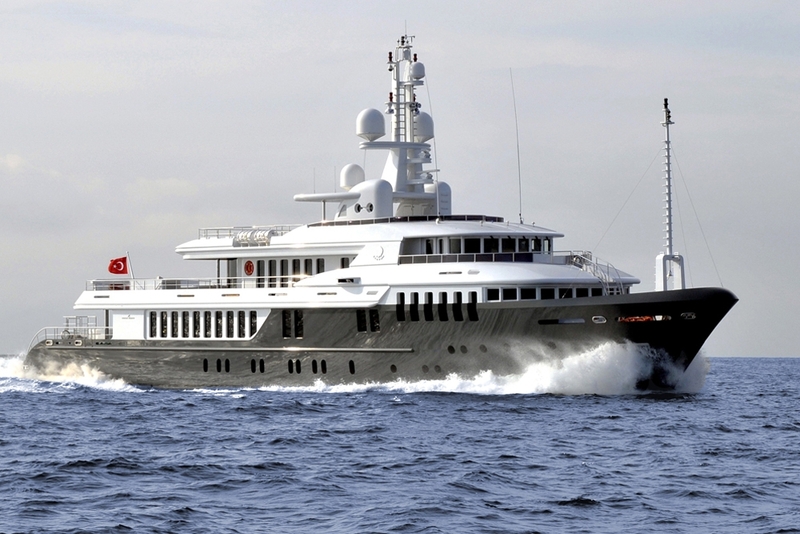 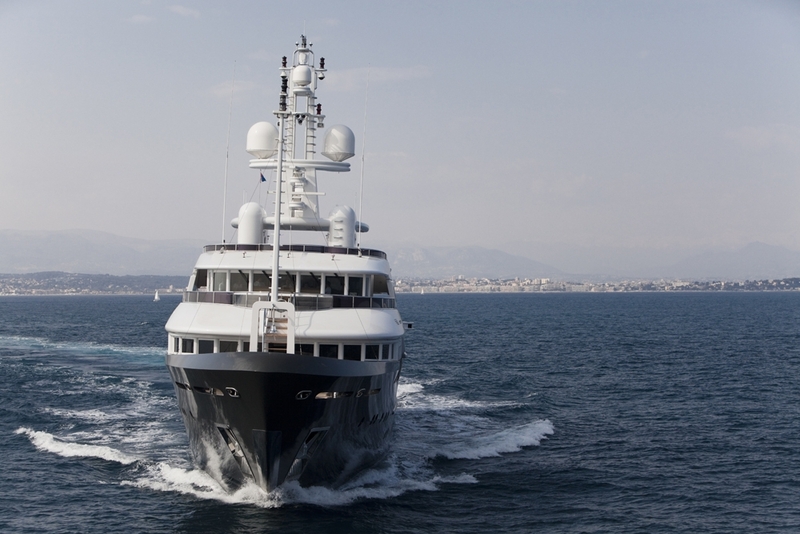 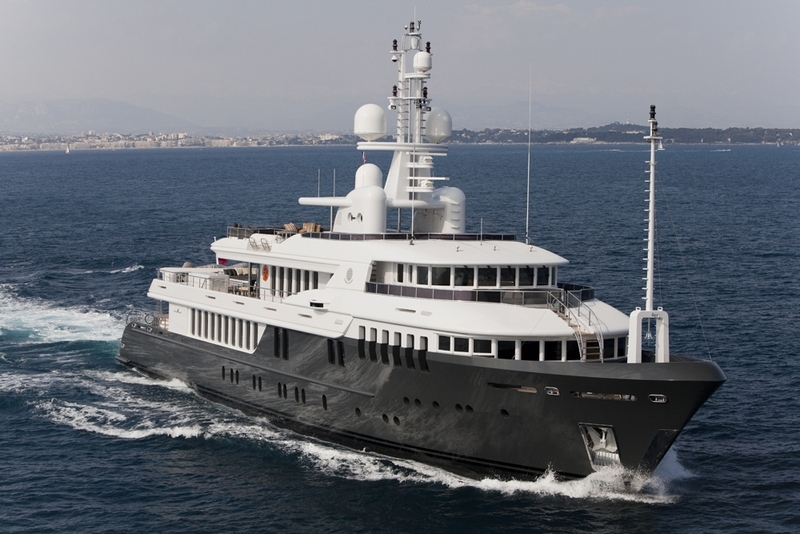 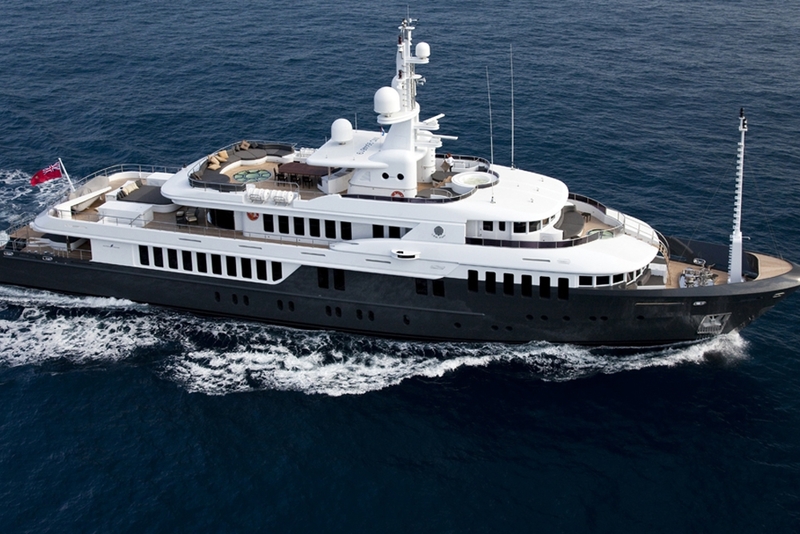 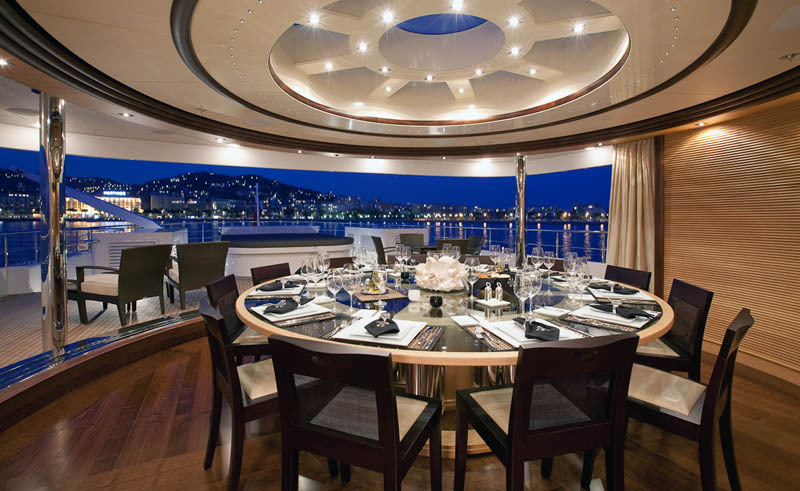 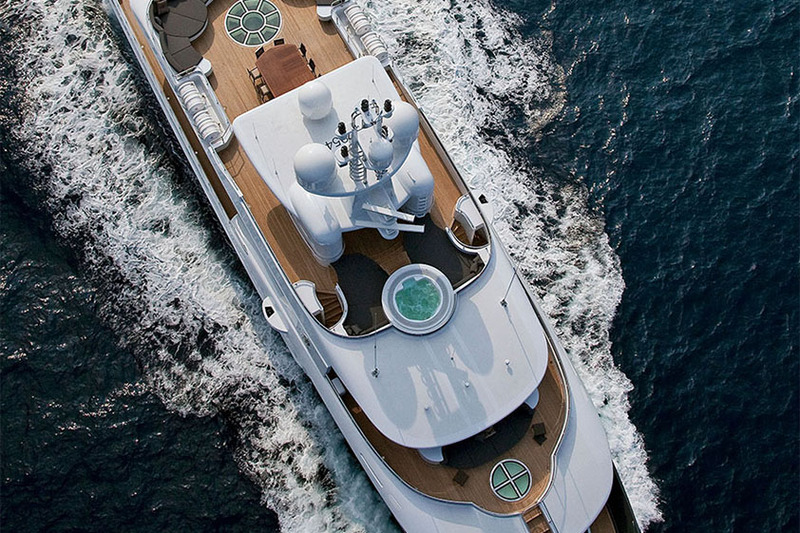 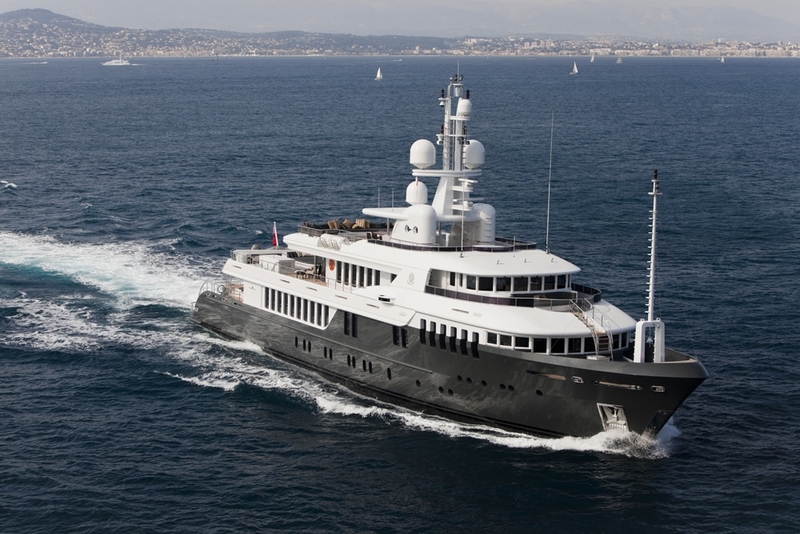 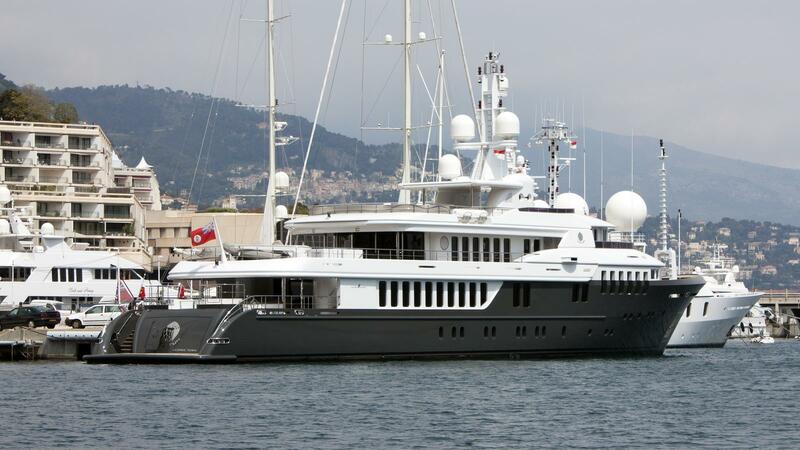 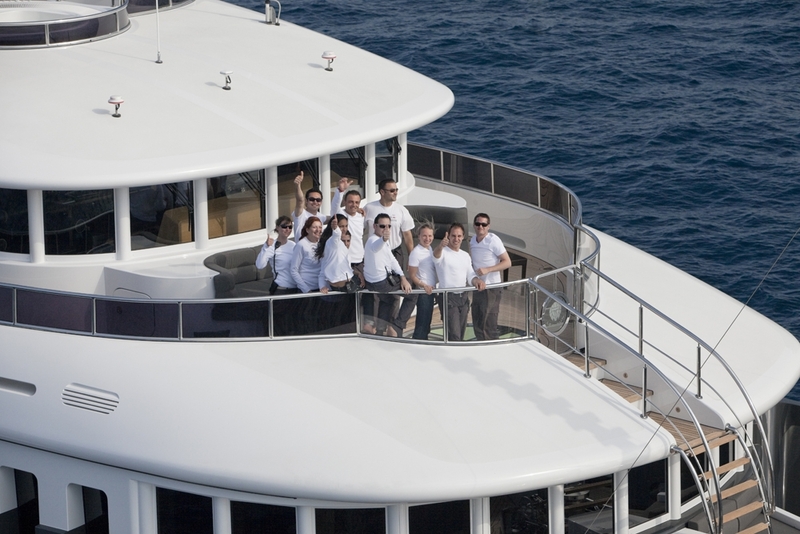 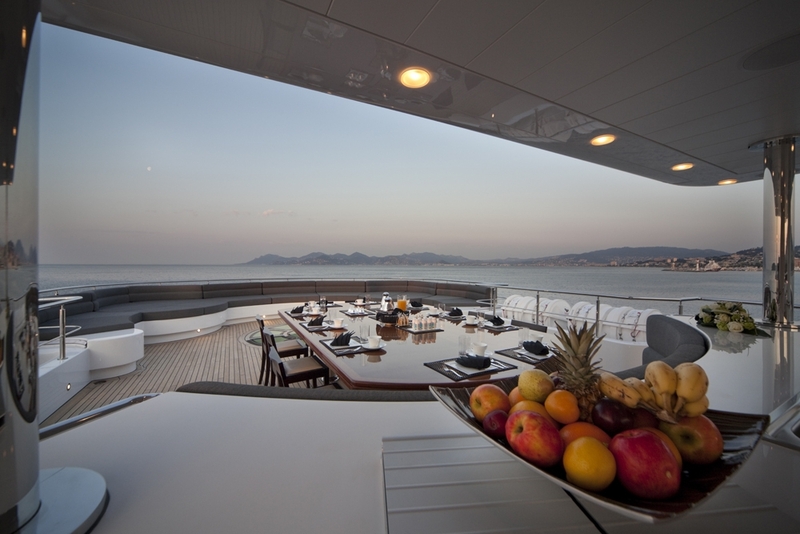 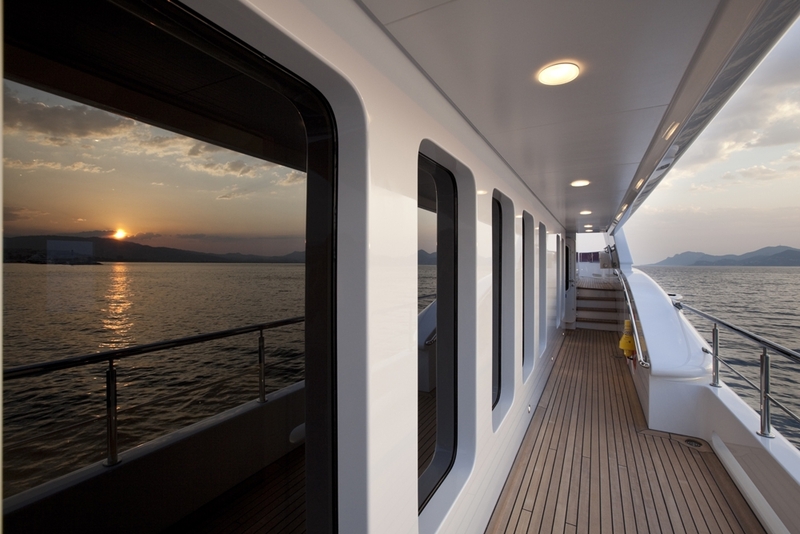 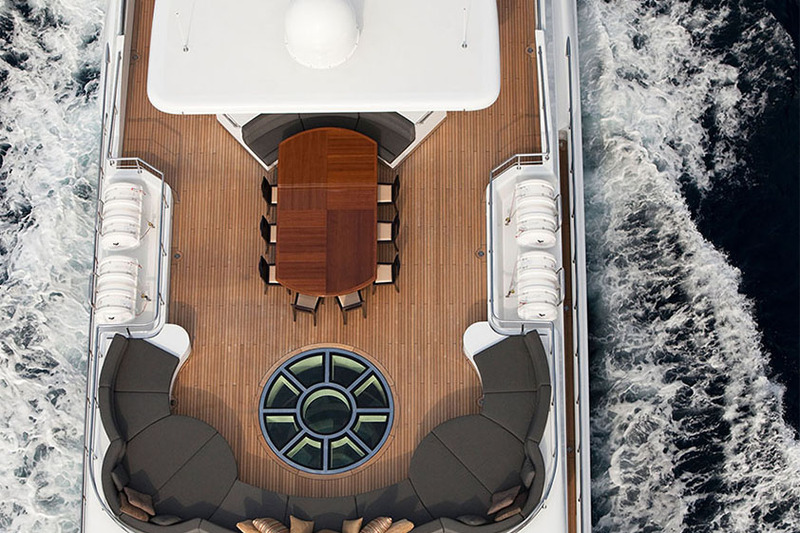 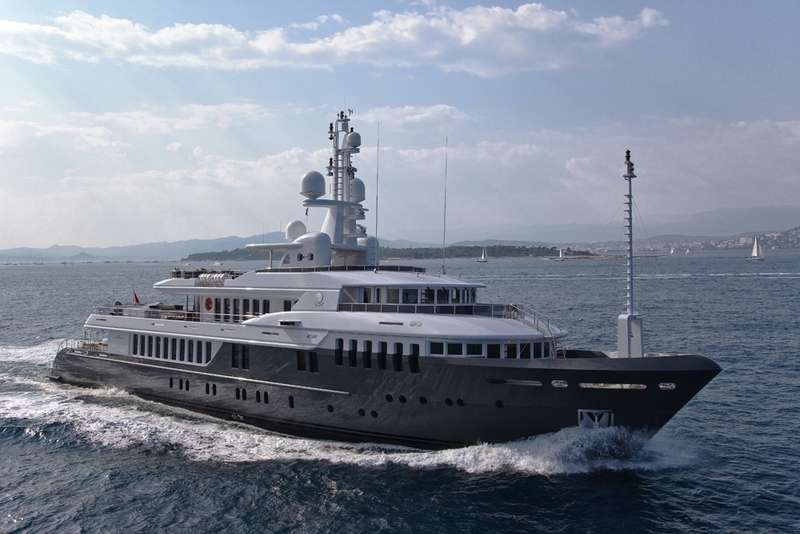 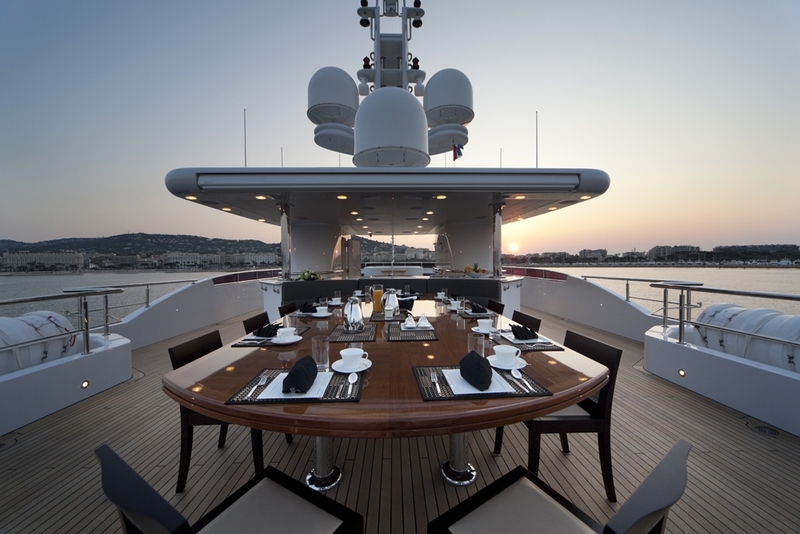 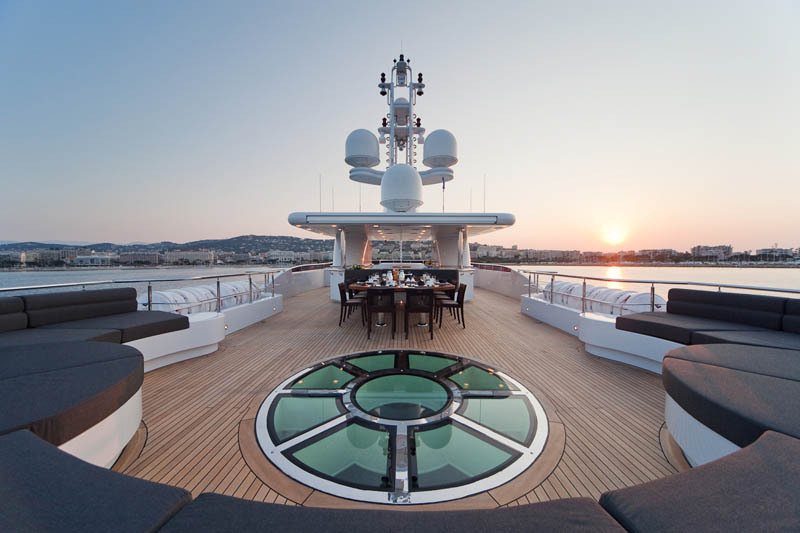 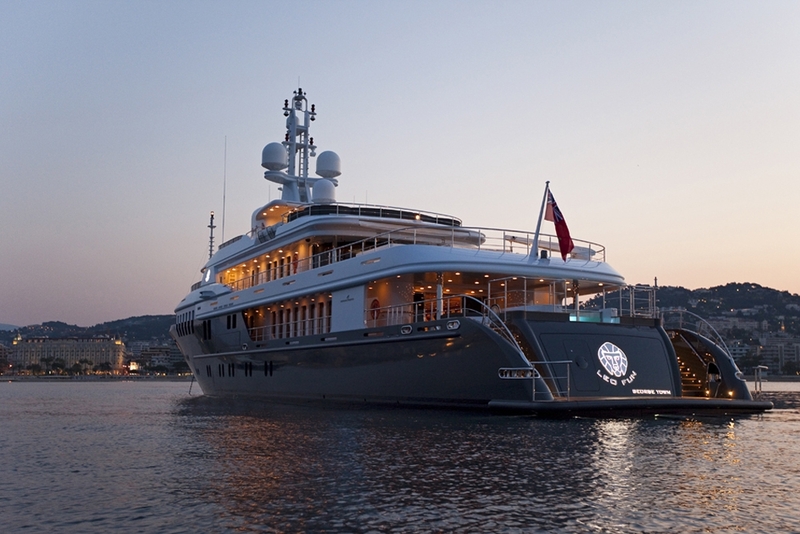 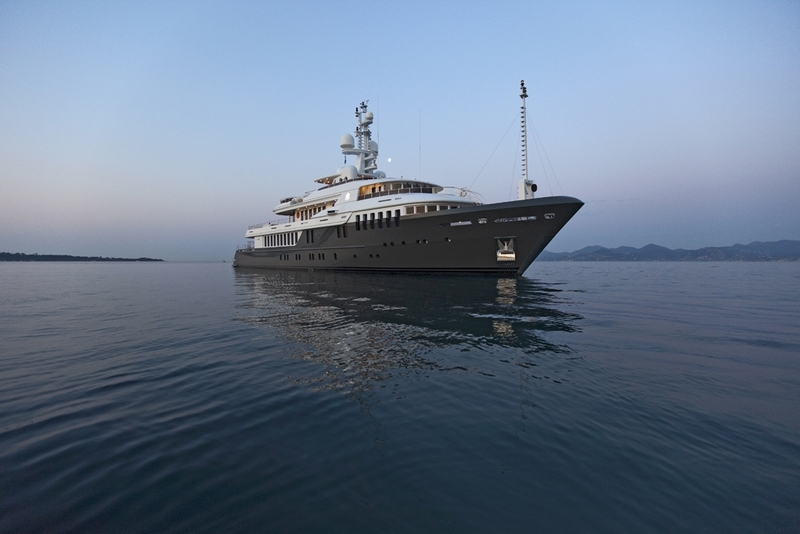 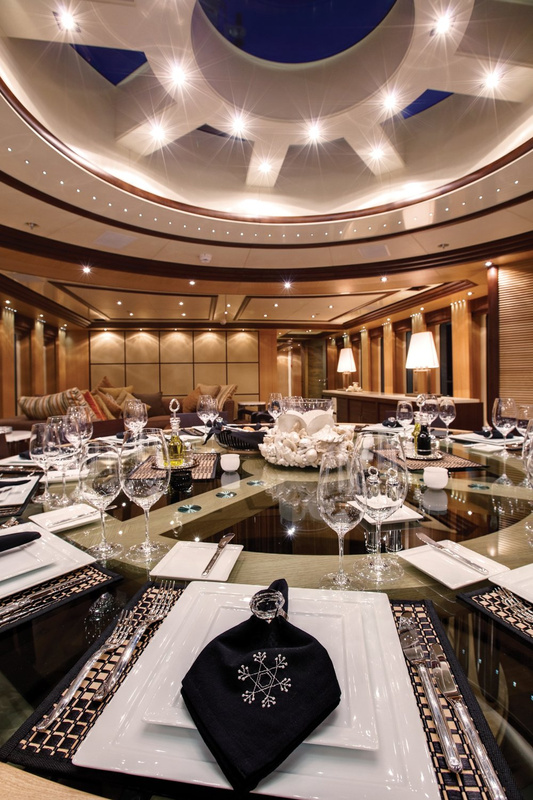 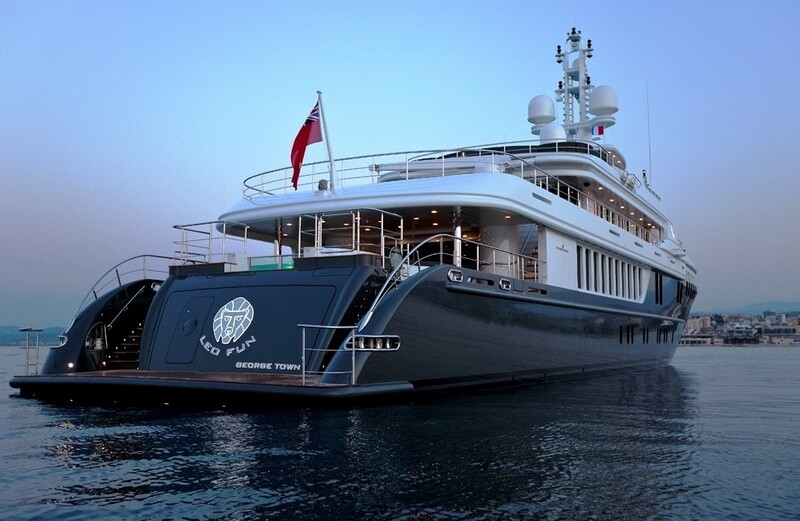 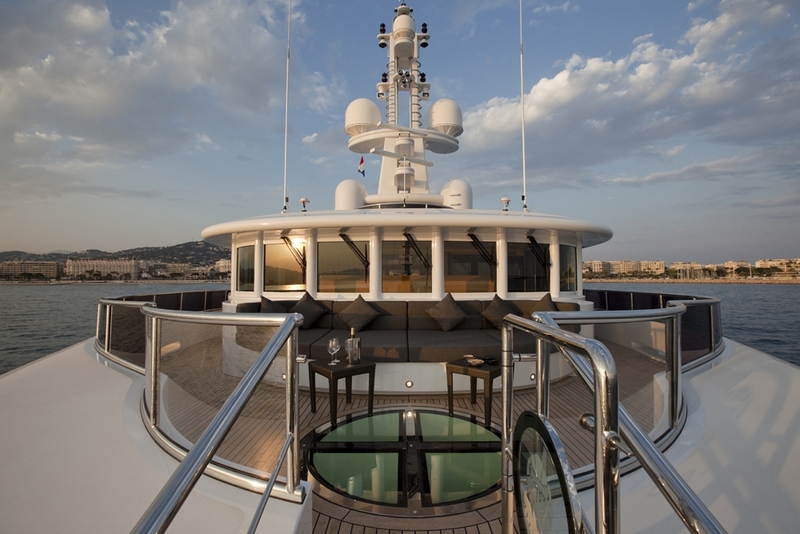 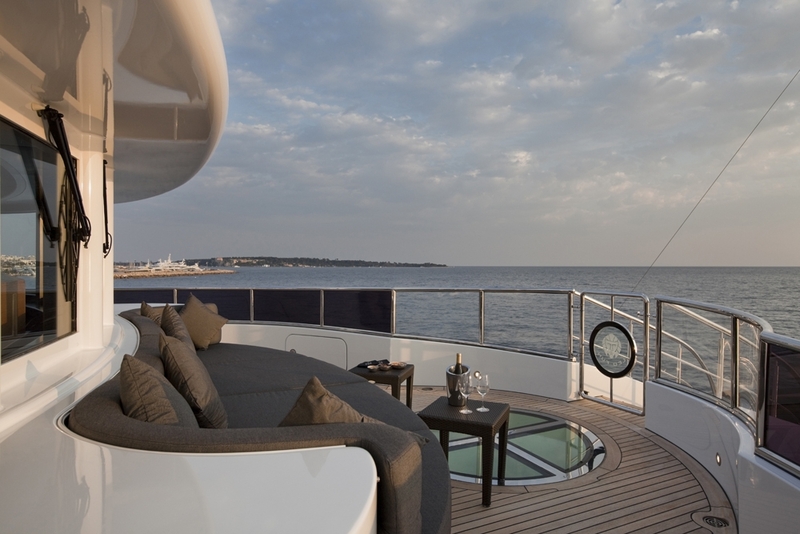 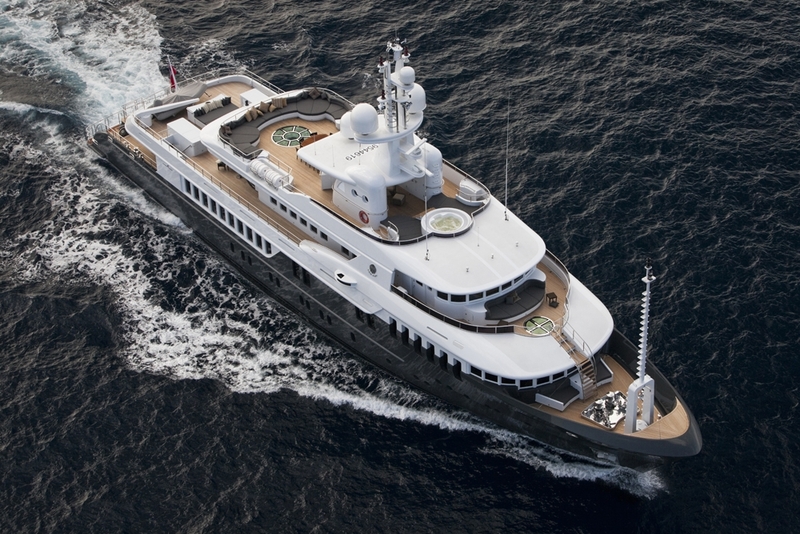 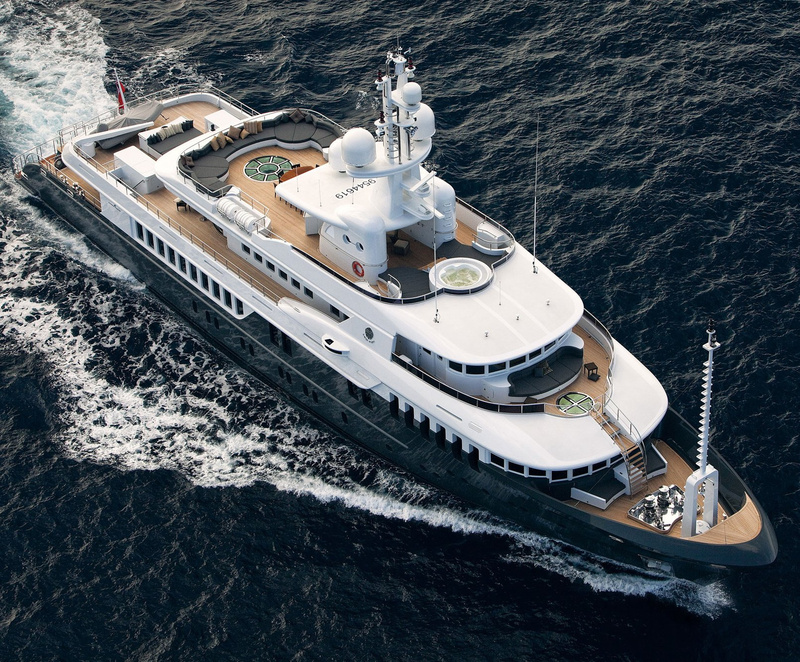 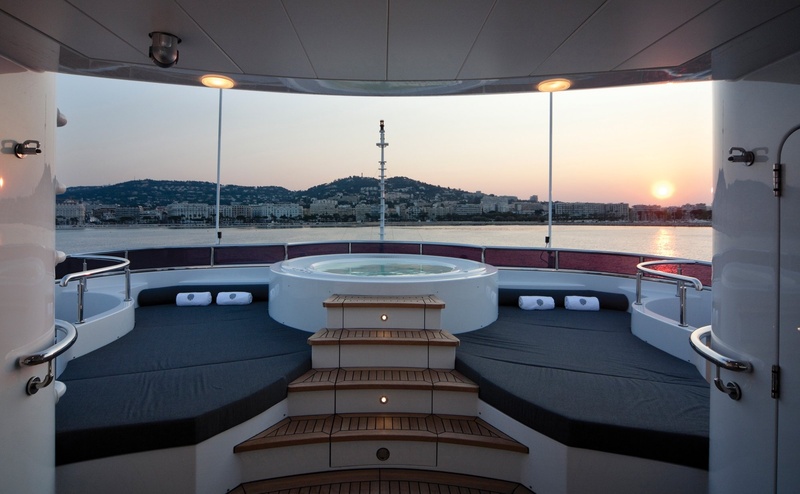 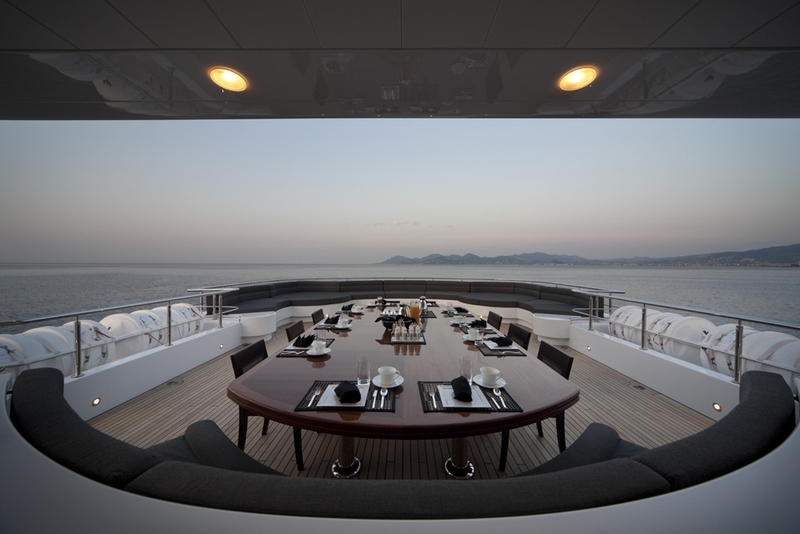 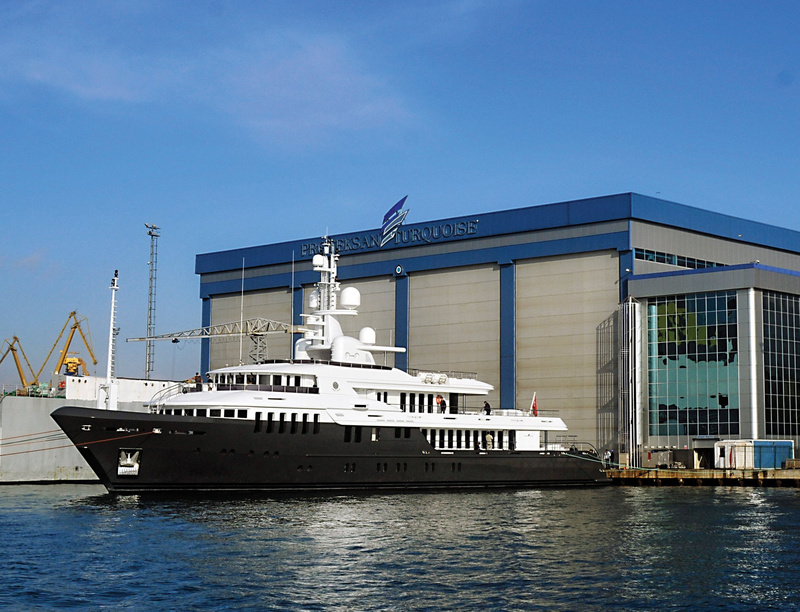 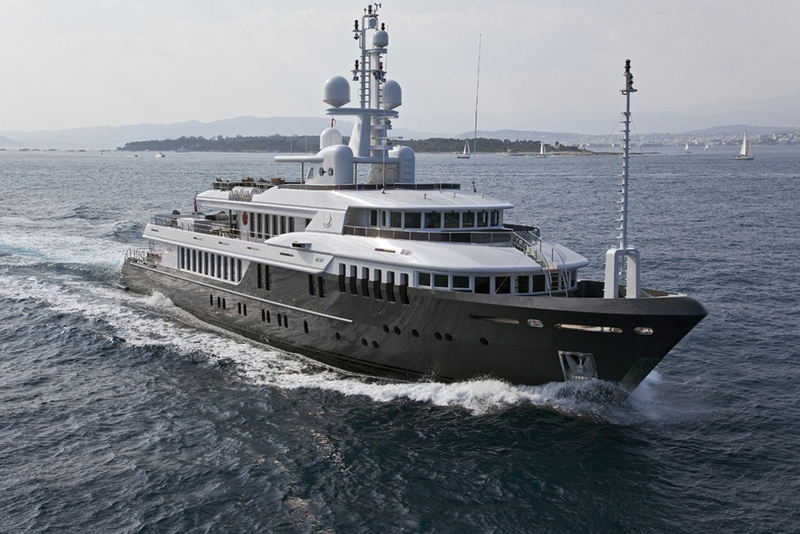 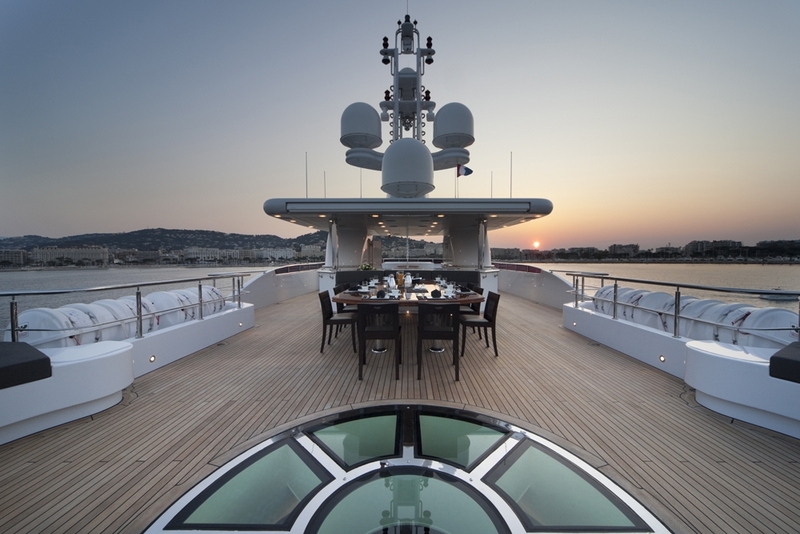 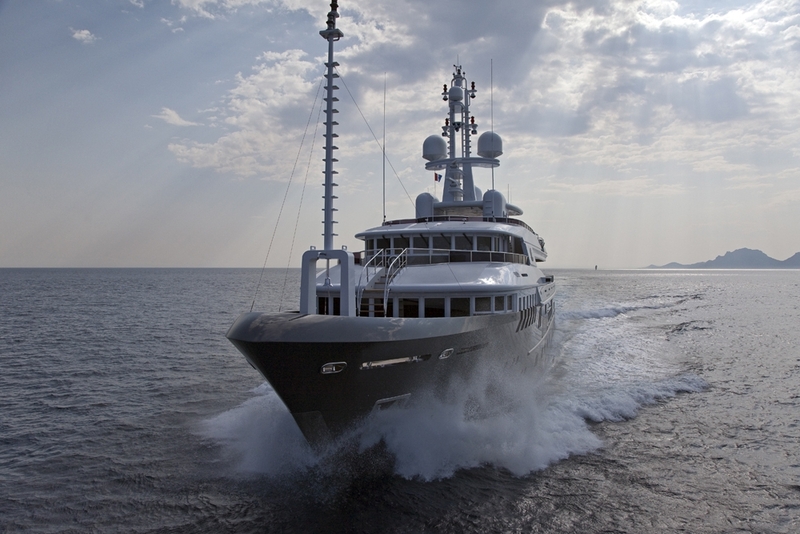 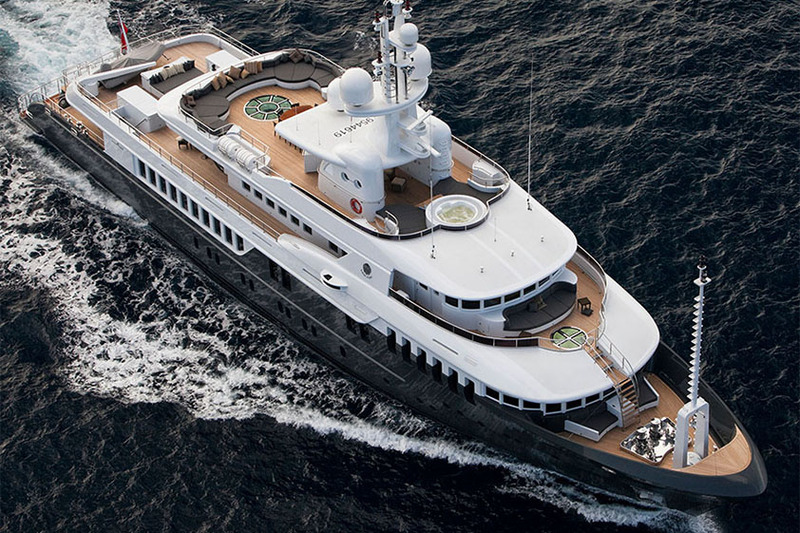 CHAYKA was selected as a finalist for boat International’s World Superyacht Awards 2010. 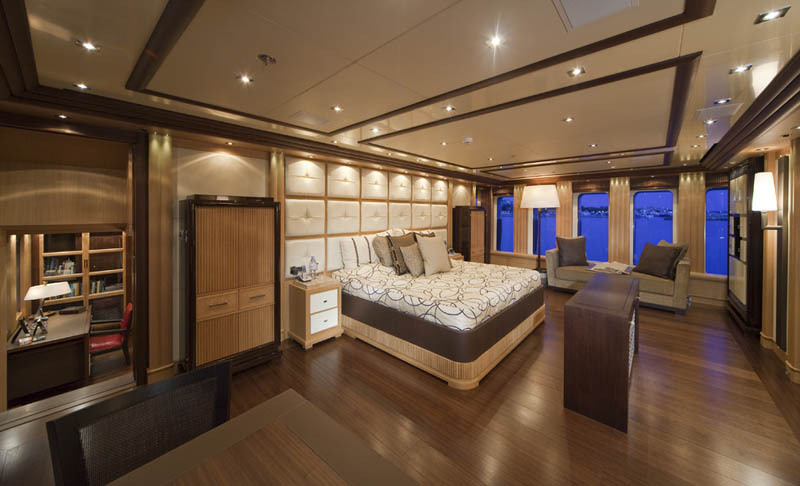 Accommodation is offered for a total of 12 guests in 6 cabins. 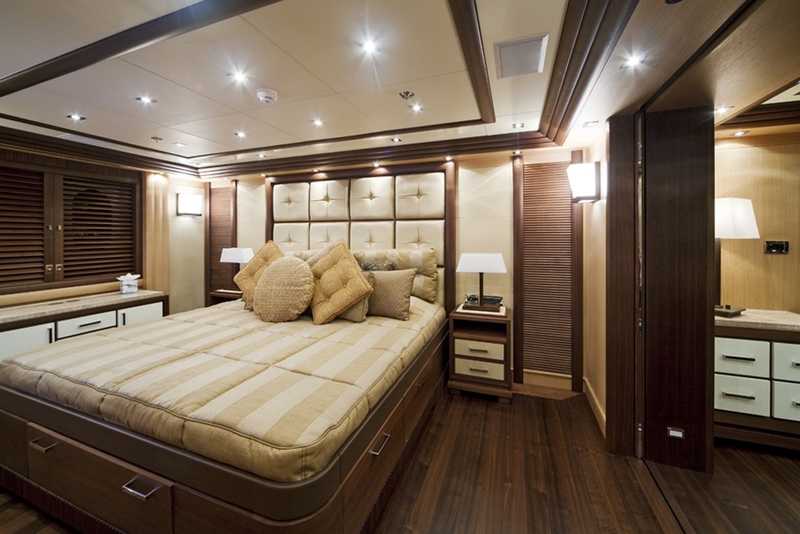 There is a large master suite with a King size bed, dresser, study, and ensuite. 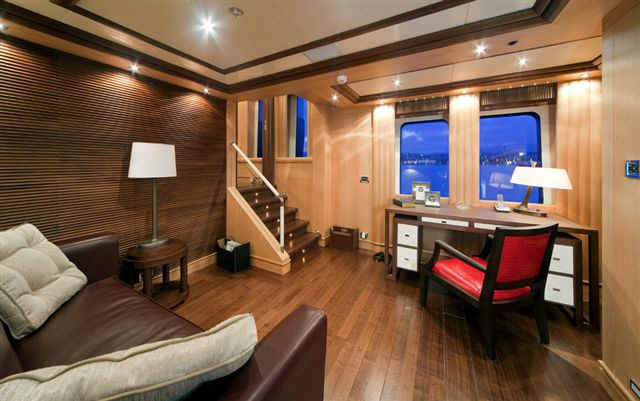 This cabin benefits from direct access to the office equipped with a computer, 42'TV with Dolby surround sound, DVD and bar/fridge. 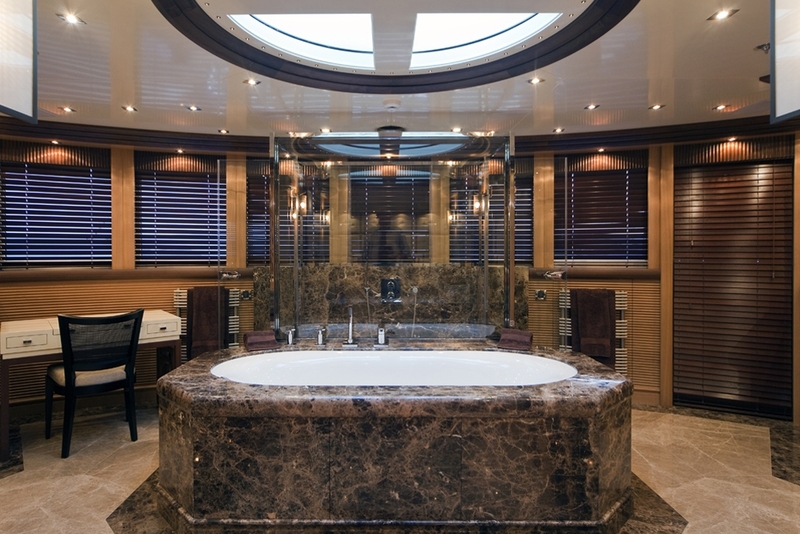 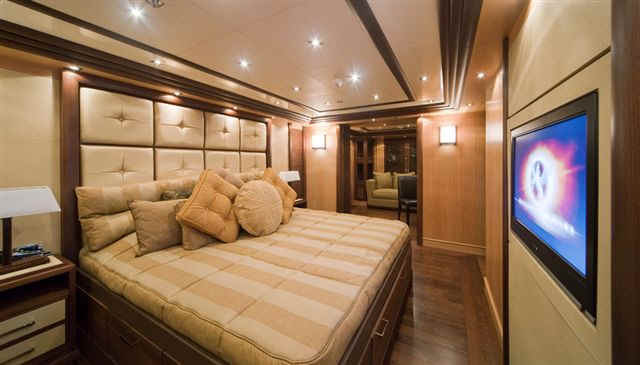 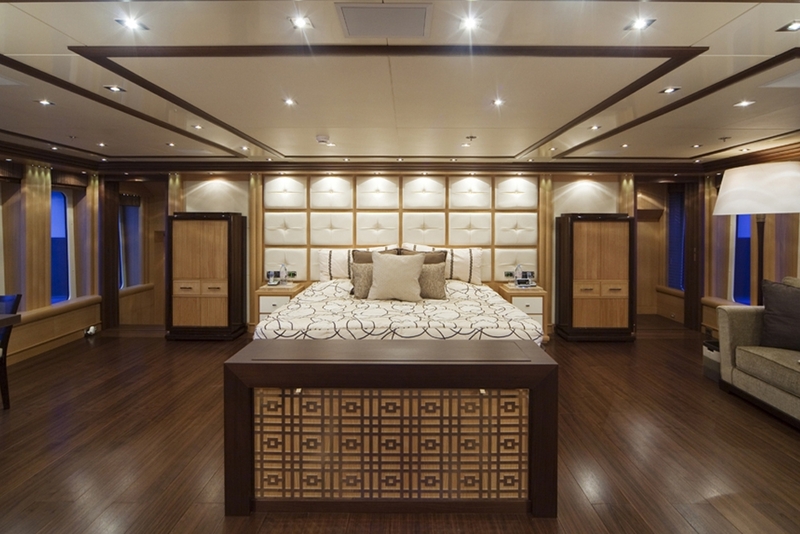 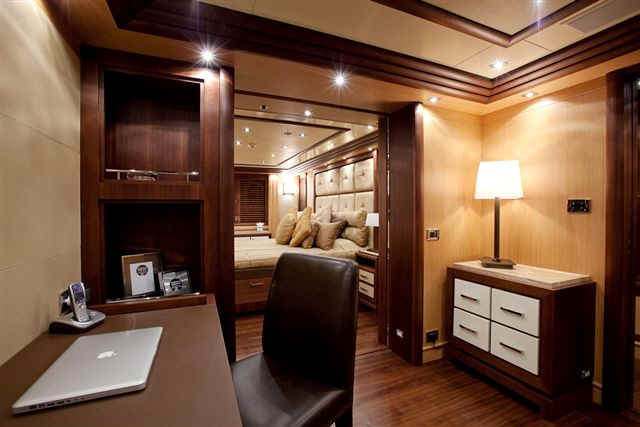 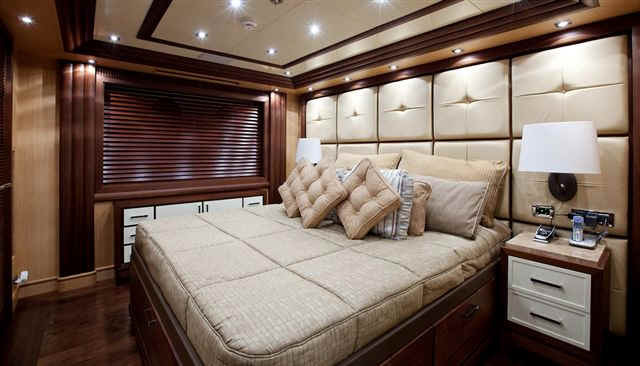 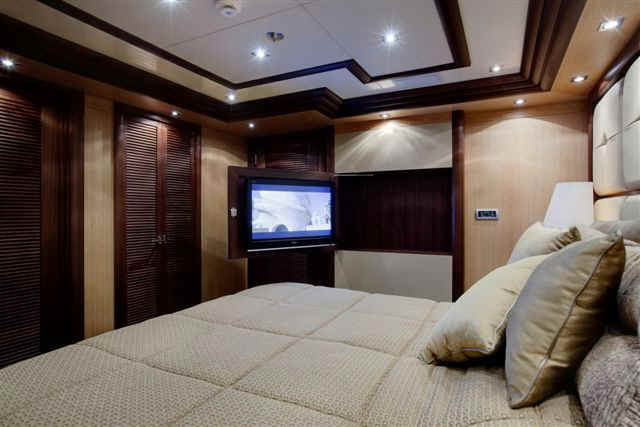 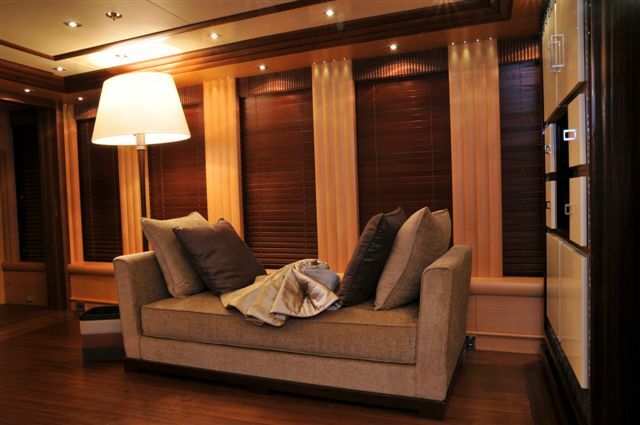 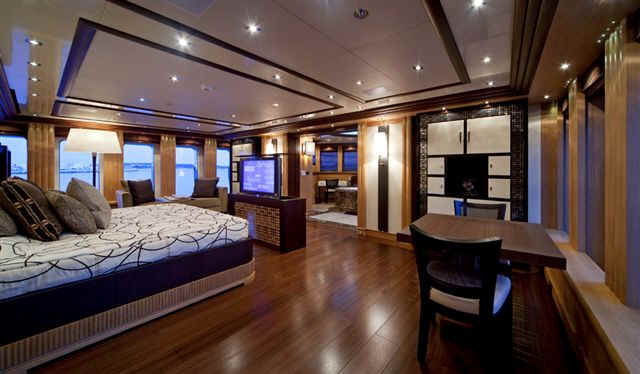 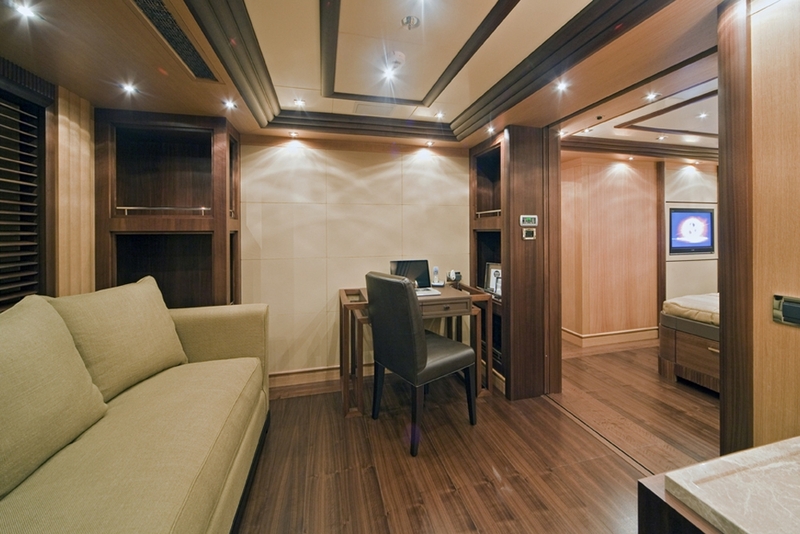 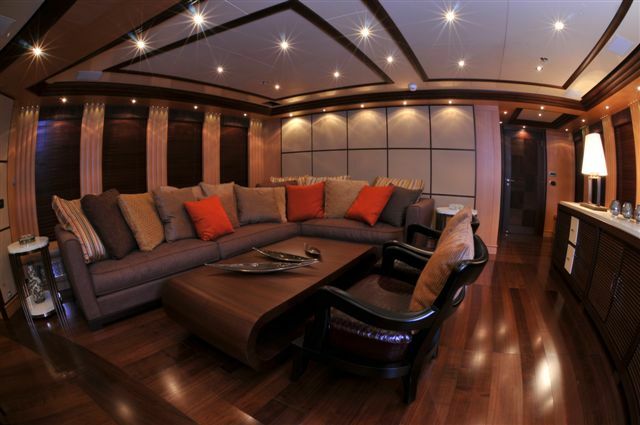 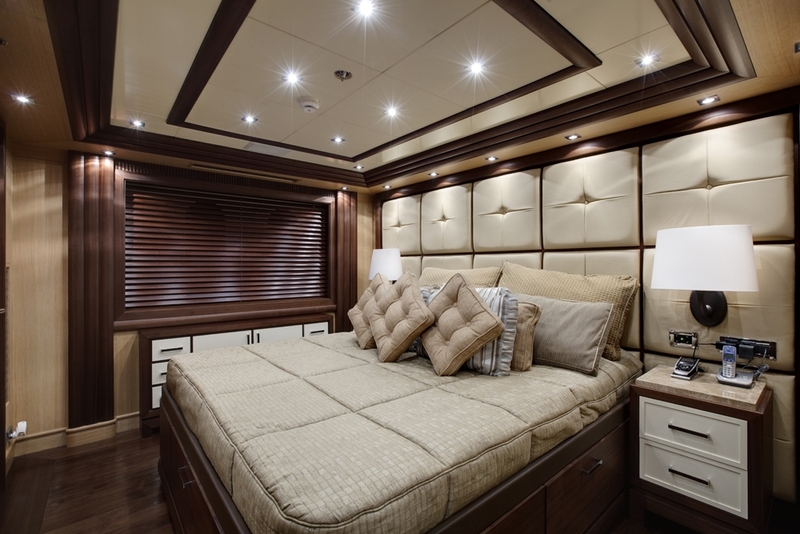 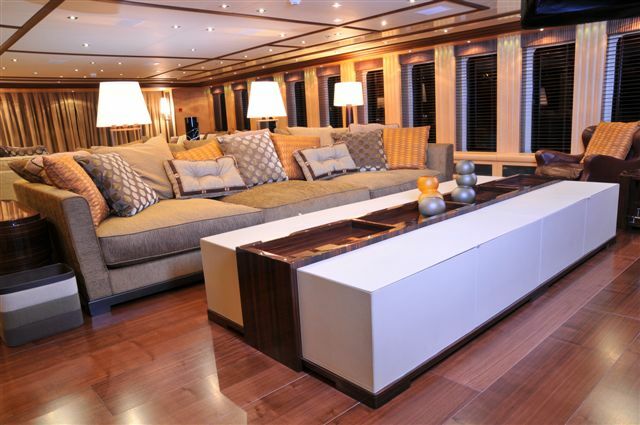 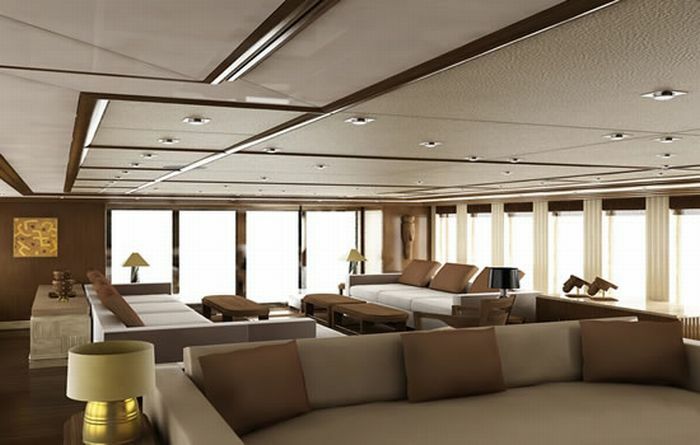 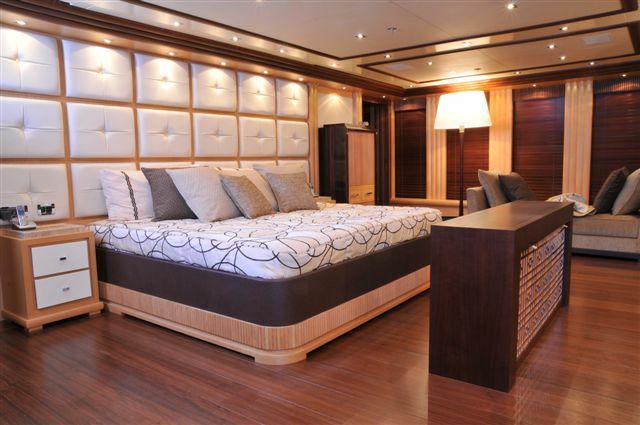 The VIP cabin is located on the lower deck and has a King size bed, dresser, TV set and ensuite facilities. 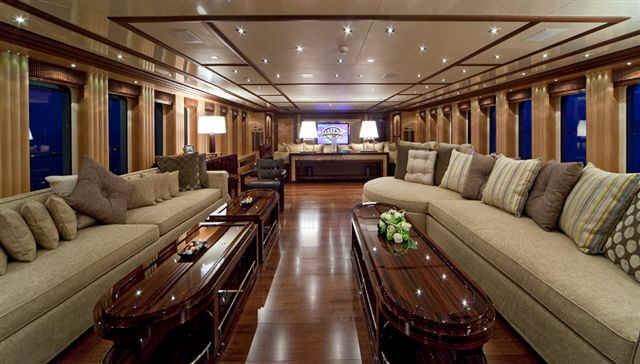 Three double cabins and one twin are also on the lower deck. 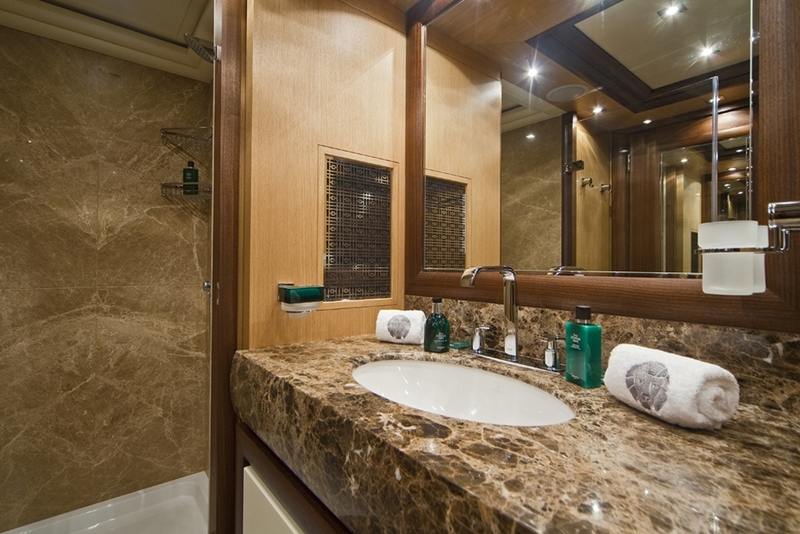 All cabins have en-suite bathroom, Sat TV, music and video on demand, Wi-Fi Internet, iPod station. 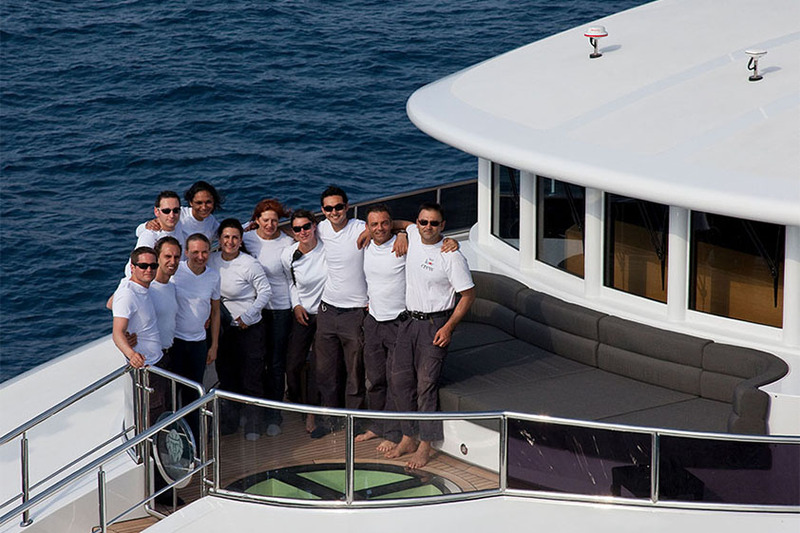 Tenders & Toys Tender : 1x Novurania 430 Dl O.B 65 Hp 1x Novurania 19' Volvo I.B 160 Hp 1x MCA rescue boat GS 420 1x Towing tender Intrepid 323 2x300 merc (fishing equipment) Toys : 1 jet ski Yamaha VX Deluxe 4 strokes 2 canoe 2 bicycles 1 moped 1 windsurf Communications Internal communication : Telephone exchange panasonic with internals and external lines. 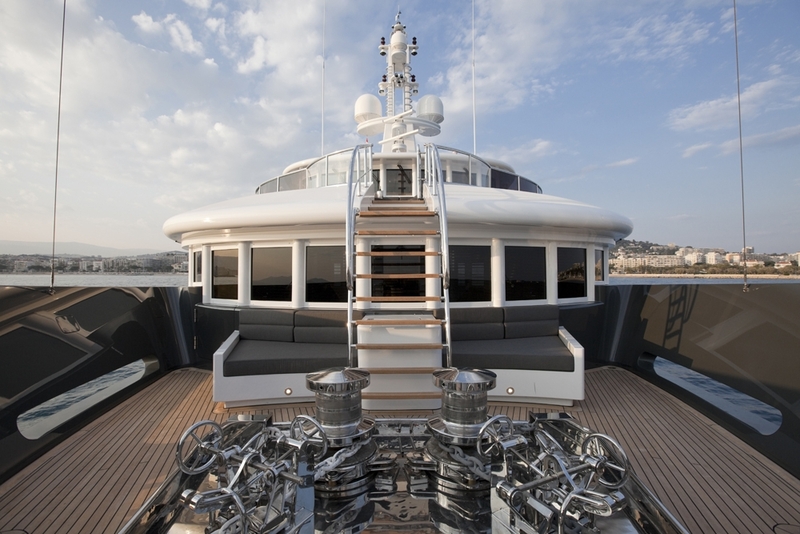 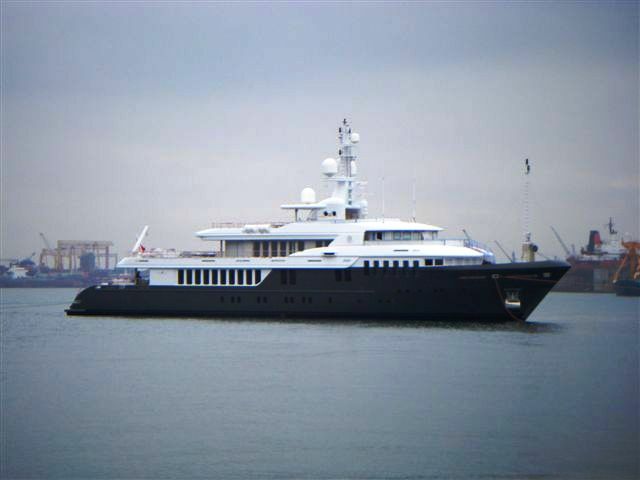 External communication : SATCOM (telephone/tele fax/email) Sailor Fleet 77 GSM lines V-Sat internet connection an wireless network throughout yacht. 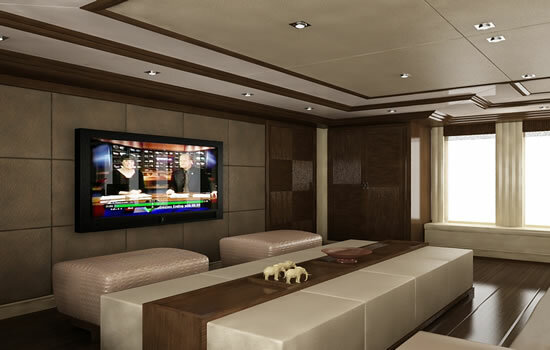 2x Seatel sattelite TV 5004 TV antenna distribution system. 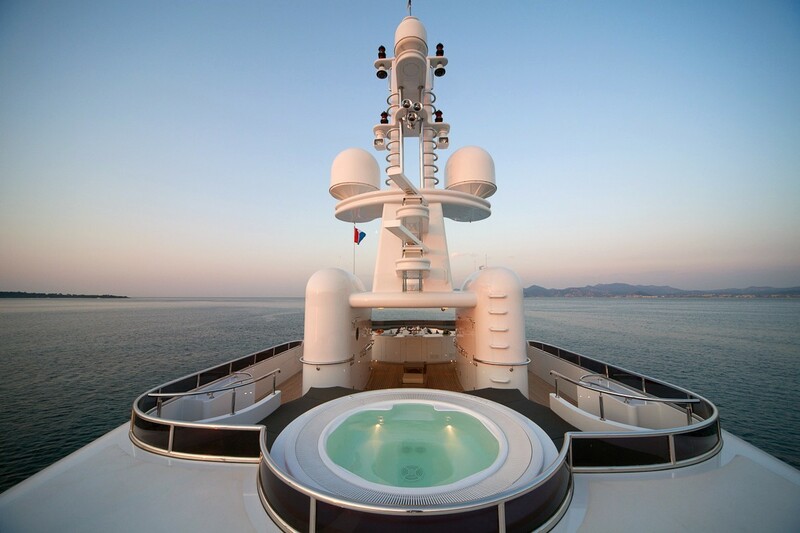 Audio Visual Equipment and Deck Facilities Sun deck : Spa Pool for 6, sun bathing area, gym area, sheltered lounge area, dining area for 14, barbecue, bar, fridge, ice maker, dayhead with shower. 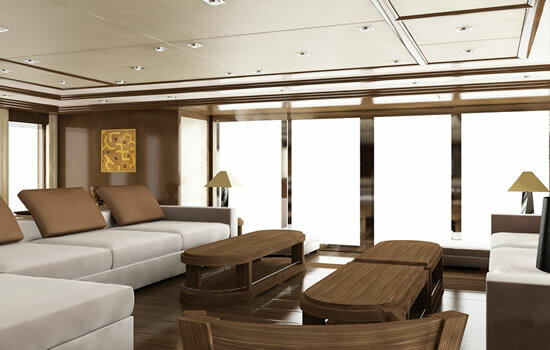 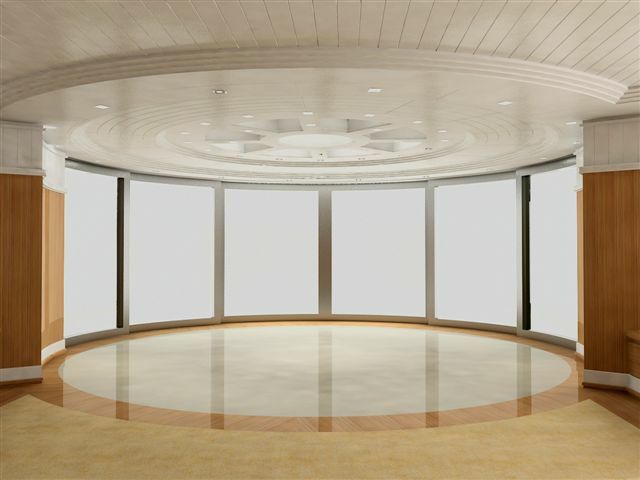 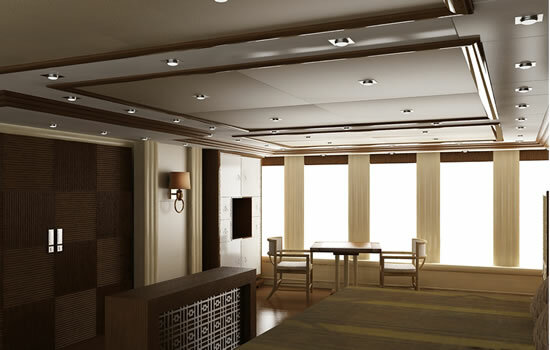 Upper deck : Lounge area, dining area for 12, upper foyer/stairs, 2nd lounge area, dayhead, bridge, forward seating area. 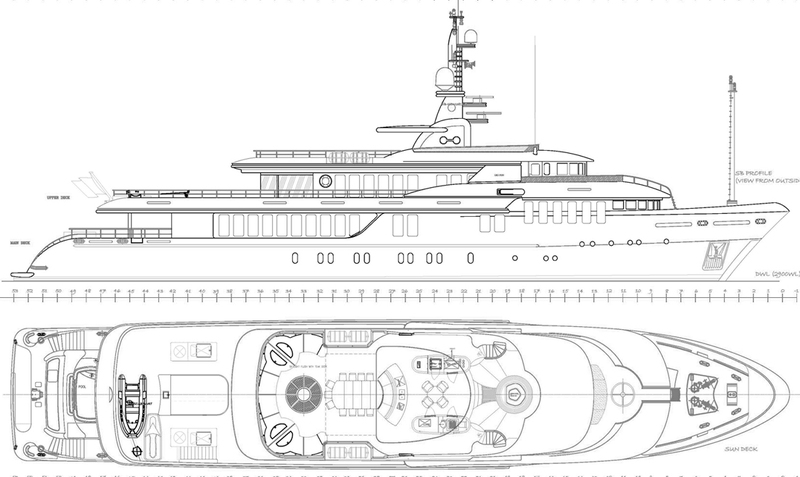 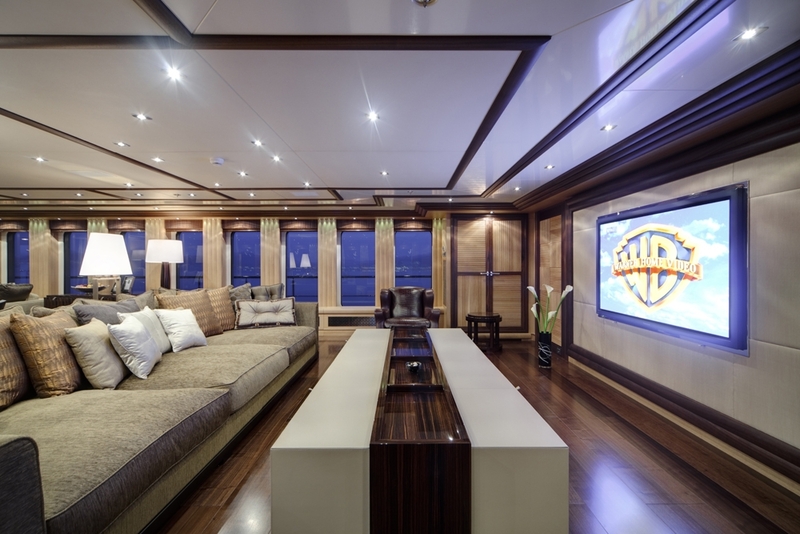 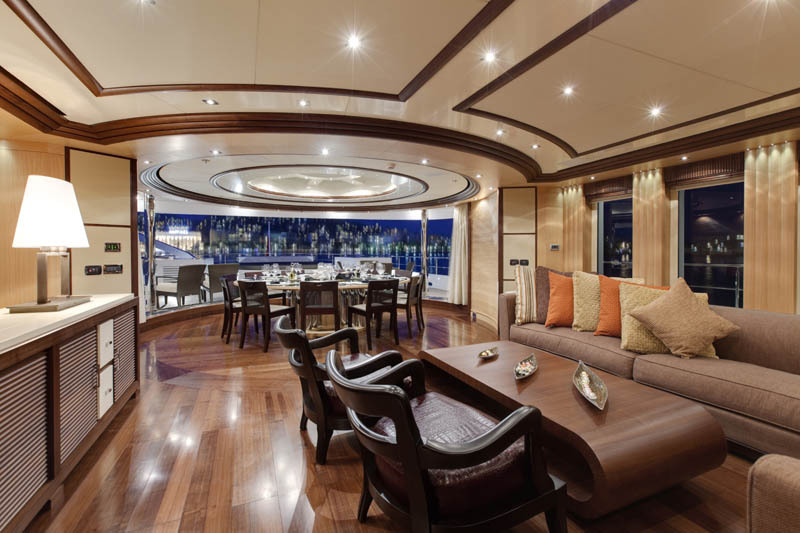 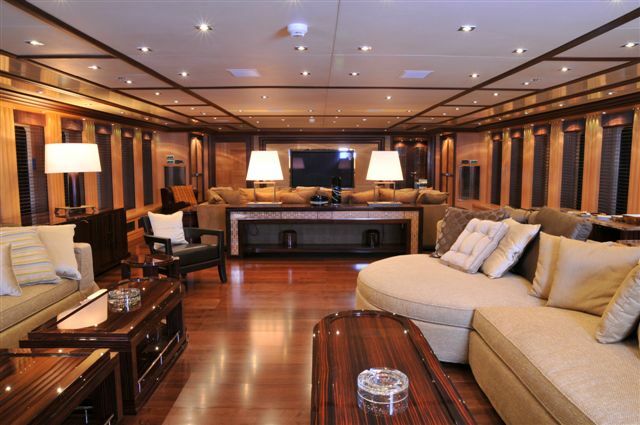 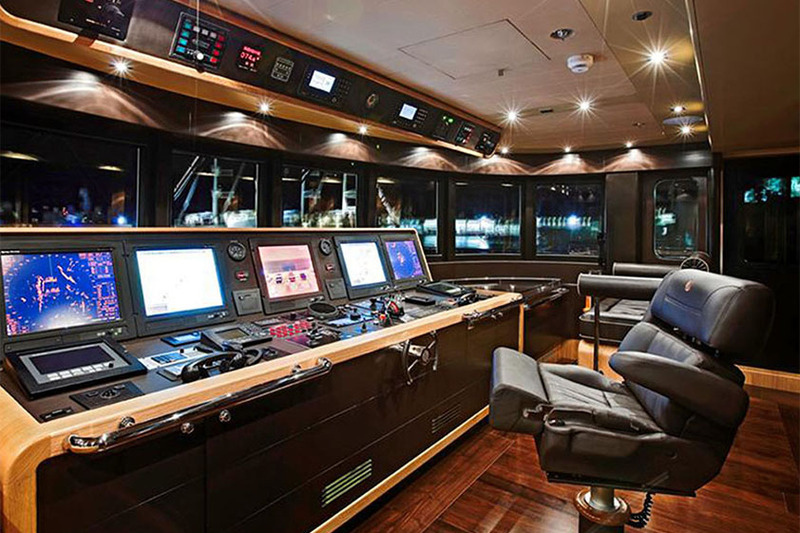 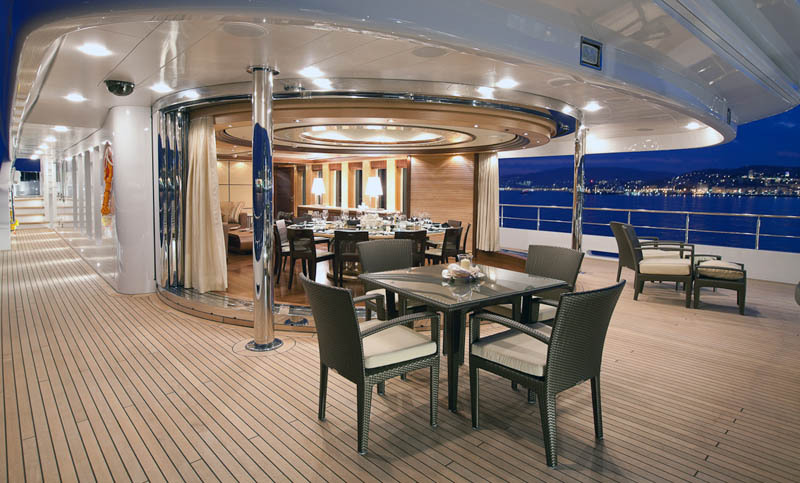 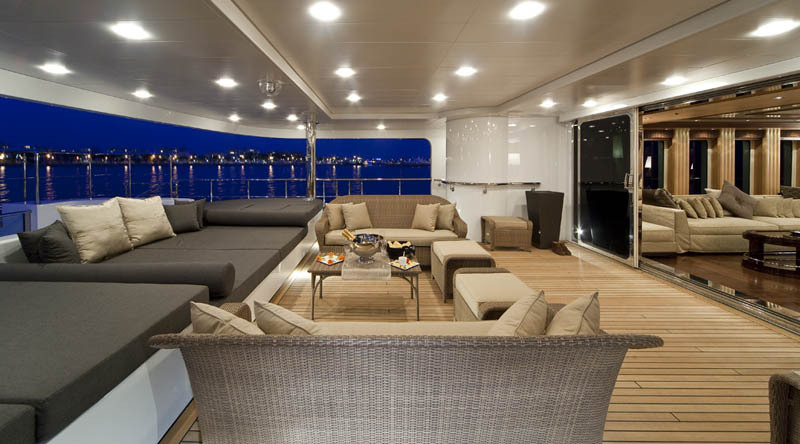 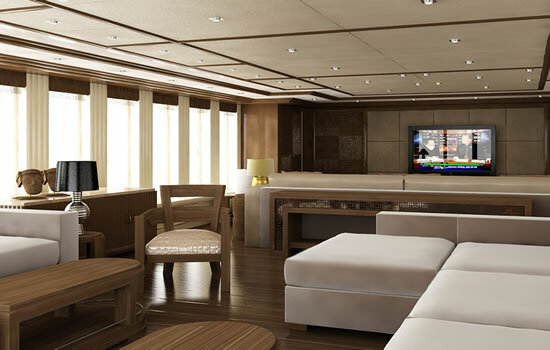 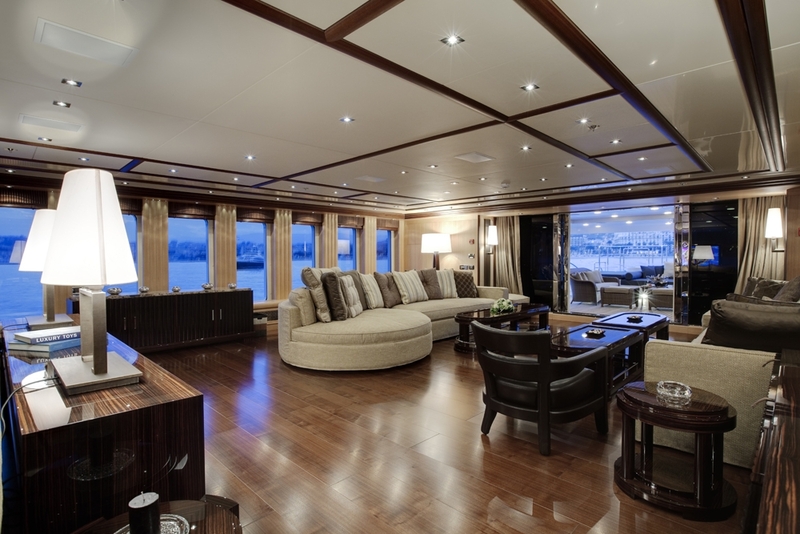 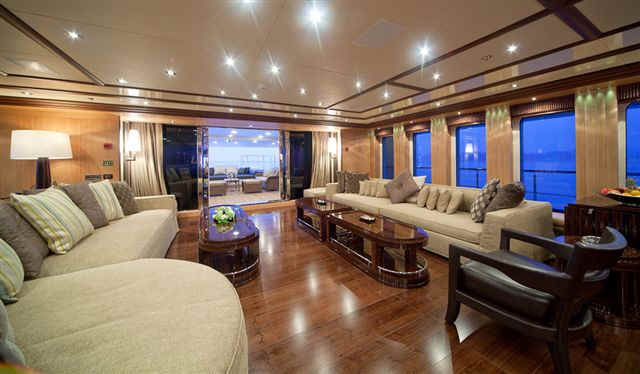 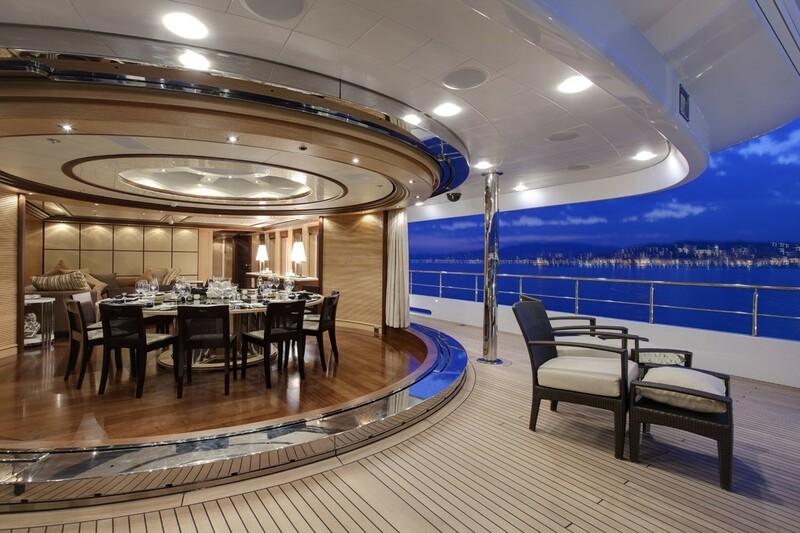 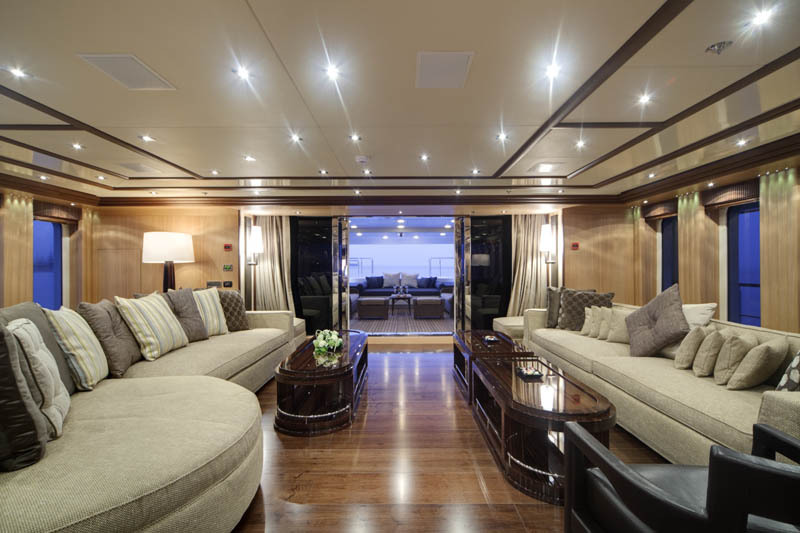 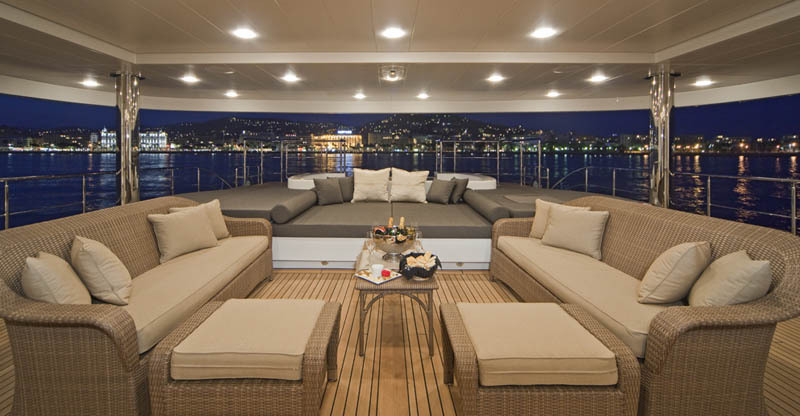 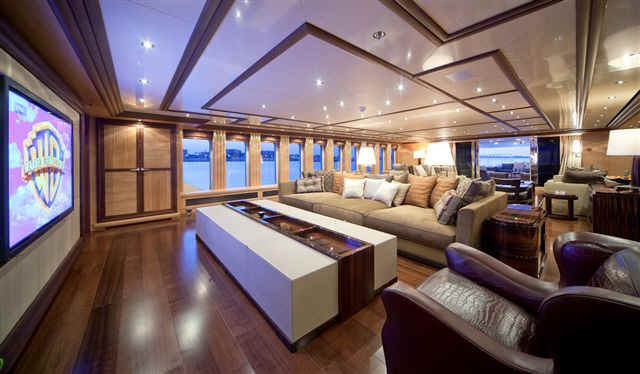 Main deck : Spacious lounge area, main saloon with 50' plasma TV/Dolby surround sound/I-pod station/DVD, main foyer, galley, dayhead, master cabin with study. 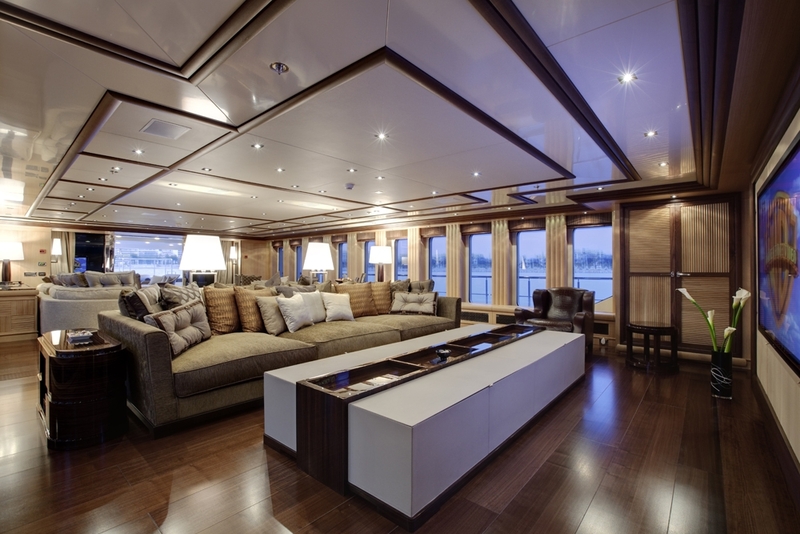 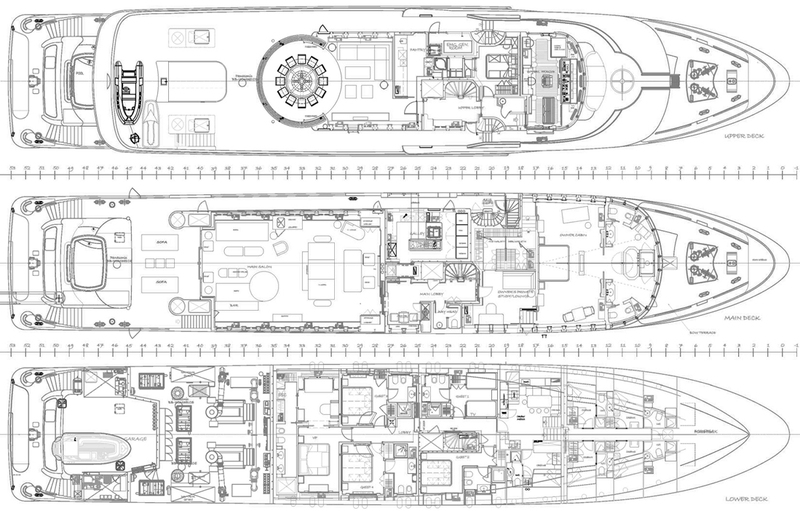 Lower deck : 3 double cabins, 1 twin cabin. 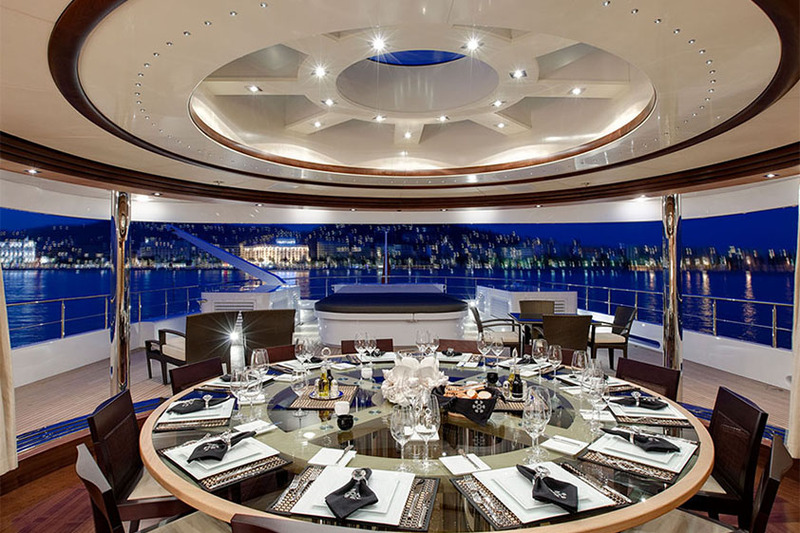 Food elevator serving 3 decks.